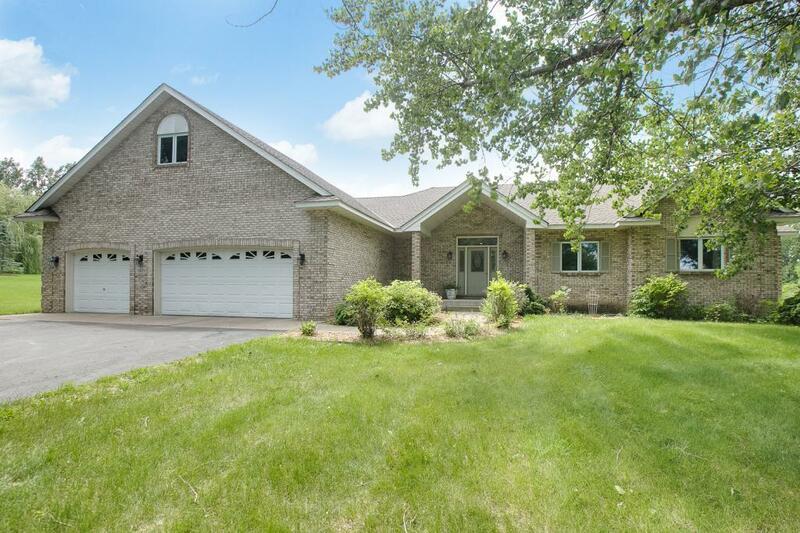 Stately and spacious walkout rambler sets handsomely on this treed 2.62 acre parcel. 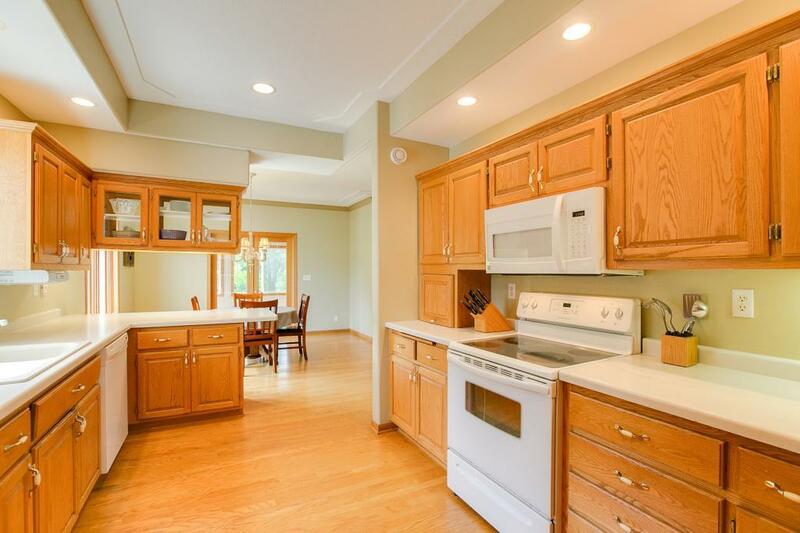 Warm finishings with new carpet, convenient kitchen with oak cabinets and walk-in pantry. 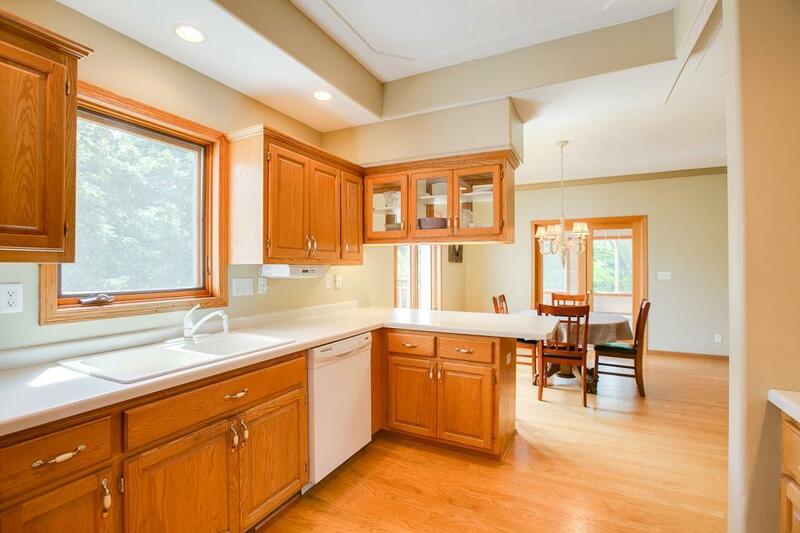 Enjoy backyard pond & wooded views from the 18x15 3 season porch with vaulted cedar ceiling. Main floor master suite with whirlpool and sep shower. Massive lower level family/rec room with cozy gas FP for all your family activities! For the horse lovers....1 is allowed here! 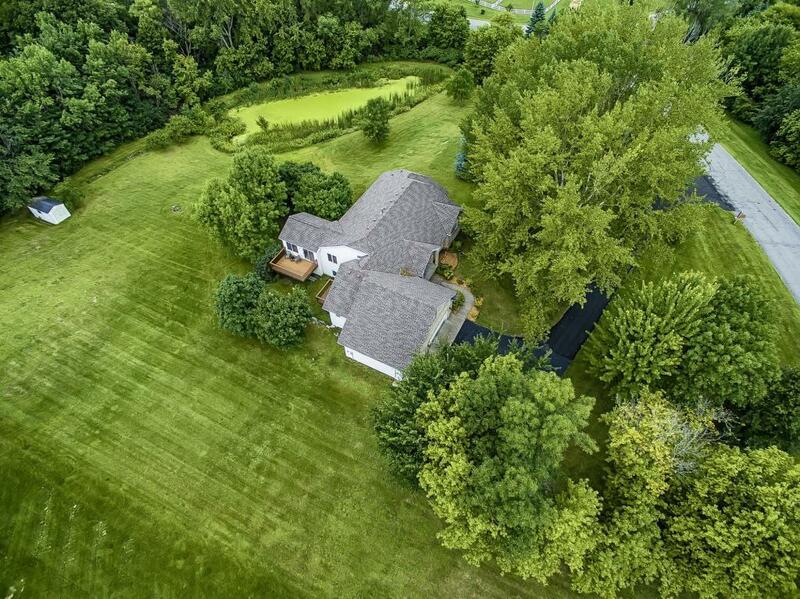 One of Greenfield's most exclusive neighborhoods!